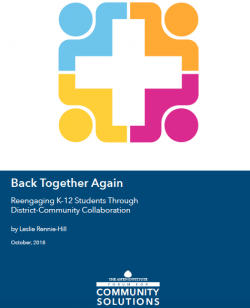 Reengagement report that looks at connection students to education opportunities. 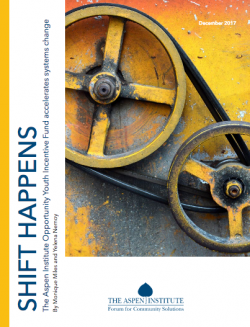 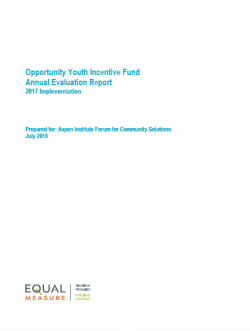 Report looks at four examples from across the country. 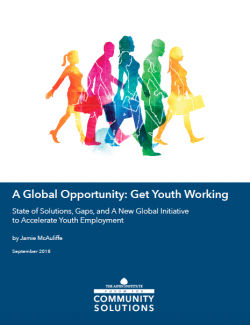 Read about our new initiative that seeks to support opportunity youth globally. 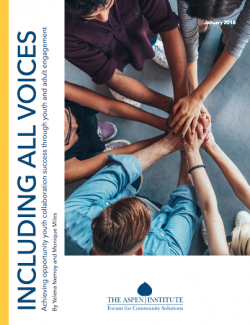 Including All Voices highlights promising strategies in youth engagement and youth-led change. 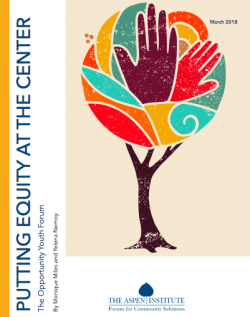 Our report, Putting Equity at the Center, emphasizes the role that equity plays in opportunity youth collaboratives around the US. 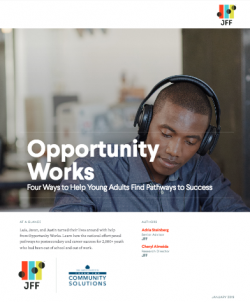 Opportunity youth collaboratives from around the country have been removing barriers and improving systems to serve young adults. 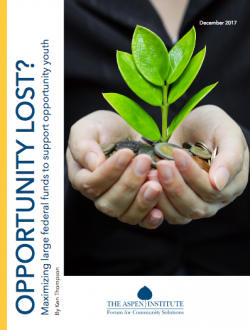 Opportunity Lost? 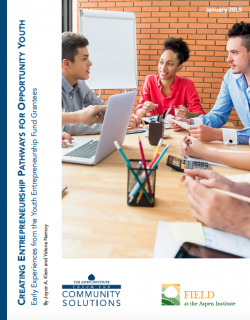 investigates the ways in which federal funding meant to help opportunity youth could be improved and better used. 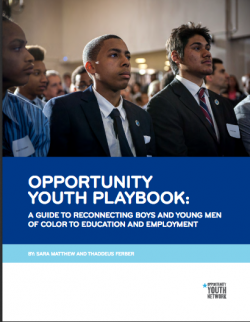 The Opportunity Youth Playbook highlights promising practices, strategies and resources to help support opportunity youth.